Oktane 2019 was an exciting time for Bitglass. 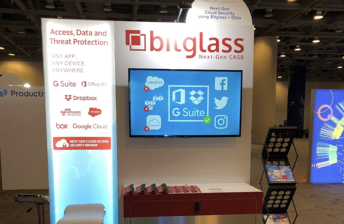 The atmosphere at Moscone West was buzzing with professionals looking to learn about cloud access security brokers (CASBs). We were able to engage with security professionals from various industries, and it was great to see how the adoption and knowledge of CASBs has grown. The only things more talked about than the Bitglass CASB were the Bitglass bottle openers and bag clips that were flying off the shelves at our booth! Today, companies use a wide variety of applications throughout their operations; many of these are adopted by specific departments or job functions. Marketo, a predominantly marketing-focused app, is used to send prospects emails, prioritize leads, create landing pages, and much more. Consequently, personal information is regularly uploaded and downloaded to and from the application. How should an organization secure this sensitive data? Find out in this episode of Glass Class. Organizations that use infrastructure-as-a-service (IaaS) platforms such as AWS, Azure, or GCP are able to enjoy the benefits of the public cloud but with increased control over the underlying infrastructure. However, with this greater control comes greater responsibility for security. Ensuring that IaaS platforms are properly configured and protected is critical for any enterprise. What is the best way to accomplish this? Find out in this episode of Glass Class. 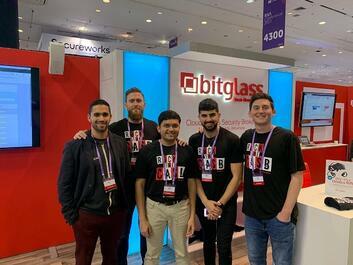 Bitglass attended RSA just a couple of weeks ago, and what a fun, action-packed week it was! Our booth was filled attendees who were eager to ask about our CASB and get their hands on one of our highly popular, tongue-in-cheek “I’m not a decision maker” shirts.